Be an expert in your field. Make a change. Join Baptist. Baptist hires team members for their specialized talents and gives them access to a vibrant community that supports growth and development. When you join Baptist you can look forward to challenge, opportunity and an atmosphere that inspires innovation and change. 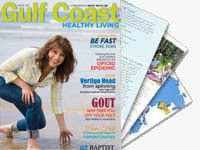 Baptist is proud to be on the forefront of medical development in our area. Our position as a health care leader is only possible because of the dynamic and varied team of professionals who call Baptist home. Come see what makes us great and why we’re so sure that you’ll love your job with Baptist. I look for nurses who I'd want to care for my own mother or best friend. Baptist Health Care is committed to promoting health, wellness and disease prevention and to providing a safe, clean and healthy environment to workforce members, patients and visitors. Baptist Health Care does not hire tobacco users, and we will test for nicotine use during the post offer pre-employment screening process. Baptist Health Care is committed to promoting health, wellness, and disease prevention and to providing a safe, clean and healthy environment to workforce members, patients and visitors. The use of tobacco and tobacco products is a known and established hazard to the health and well-being of tobacco users and can also directly impact non-users. In addition, the use of tobacco and tobacco products has been shown to decrease employee productivity and efficiency while increasing absenteeism. Baptist Health Care is committed to promoting health, wellness, and disease prevention and to providing a safe, clean and healthy environment to workforce members, patients and visitors. The use of tobacco and tobacco products is a known and established hazard to the health and well-being of tobacco users and can also directly impact non-users. In addition, the use of tobacco and tobacco products has been shown to decrease employee productivity and efficiency and increase absenteeism.